Entitled “Botanical Portraits,” the exhibition will run from May 12 – July 31, 2018. 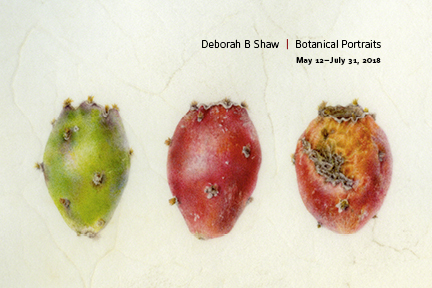 Deborah’s watercolors and graphite drawings feature California native plants as well as other fascinating specimens of the plant kingdom. The opening is May 12, 2018 from 6 – 9 pm, and is open to the public. Visiting the Gallery on other days is by appointment only, 562-708-3803. Chez Shaw Gallery is located at 1836 Nipomo Avenue, Long Beach, California 90815. Opuntia spp., Fruit, Prickly Pear “Tunas,” Watercolor on calfskin vellum, © 2016, Deborah Shaw. Digital image protected by Digimarc.